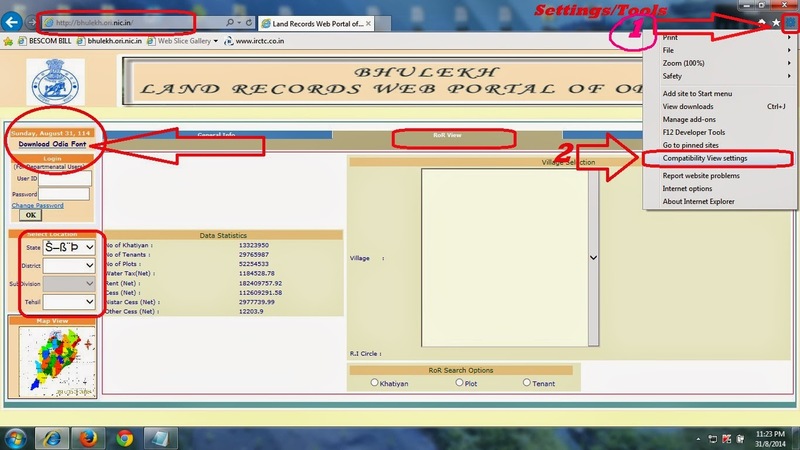 Bhulekh land records web portal of Odisha, as you know most of the users can not use this website, because on the latest version of Internet Explorer, Firefox and Google Chrome not showing the Odia font on the website. But by doing some settings and use some browser add-ons/ extension you can able to see Odia font on the bhulekh Odisha website. 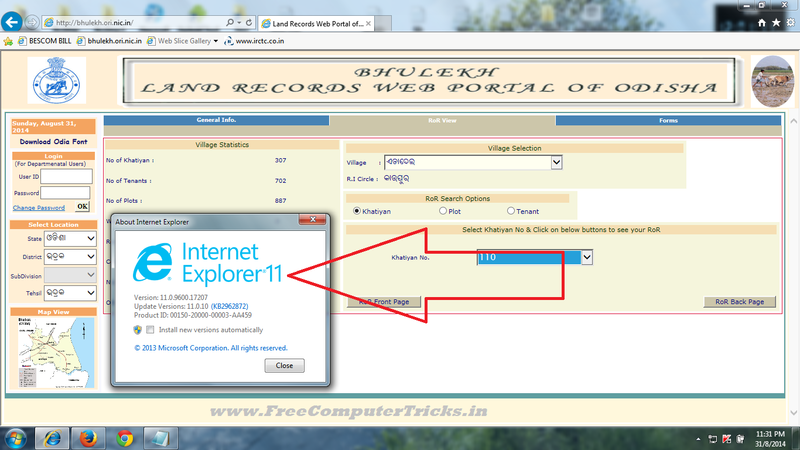 As you know for Google Chrome and Firefox there is a tutorial on this blog see the below blog posts to know how to use Bhulekh.ori.nic.in on Google Chrome and Firefox and it's working fine on Windows 7 having Internet Explorer 11. Most of my friends and visitors says that, they are not able to see Odia font on Internet Explorer 11, So here is the topic about how to use bhulekh.ori.nic.in on Internet Explorer 11 to see Odia font. That's all now you will able to see Odia font on the bhulekh Odisha website, now open the bhulekh Odisha website it will work fine on Internet Explorer 11. THANKS FOR THE HELP.... ITS WORKING FINE ! !